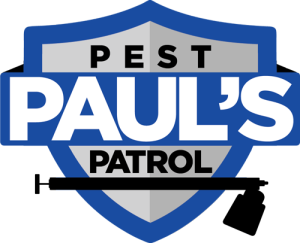 Paul is the owner and operator of Paul’s Pest Patrol. He is also a Pest Control, and Pest Exterminator expert. It’s thanks to Paul’s entrepreneurial spirit that we make so many customers happy today. Call for an appointment and we’ll send a friendly, licensed and bonded service professional to your home. We will take care of your problem and provide long term prevention advice once you’re pest free! Pest control and prevention for businesses that provide food service is a delicate matter. Let our experienced and licensed professionals help your staff focus on providing excellent, pest free service. • Emergency pest response services. • Scheduled services, including after hours and weekends (for your convenience and discretion). • Complete bed bug elimination services. • Documentation, and support for public inspectors. • Fully certified, and experienced professionals who have dealt with large scale infestations. Contact us for one-time or contracted services for your commercial property. Our Licensed professionals will let you know what they have done, and what long term solutions will help prevent and protect your location. Have a rodent problem or a bug problem? Paul’s Pest Patrol is the Pest Exterminator you have been looking for. We have the tools to control any kind of pest problem for both commercial and residential properties. See some of our services for details. Not sure what kind of pest problem you might have? Our licensed professional will recommend a treatment and prevention solution to meet your needs. Rodent and cockroach control are the common culprits for a suspected infestation. Our talented team has the knowledge to exterminate the toughest of pests. We also offer environmentally friendly treatment options, and prevention recommendations tailored to your specific needs. When we visit your home, expect respectful, courteous, and punctual individuals to take care of your pest extermination needs. The Bay Area’s Best Pest Exterminator, Period. With over 22 years in the pest control industry, Paul’s Pest Patrol has the experience to provide quality pest control, and pest exterminator services. When you choose Paul’s Pest Patrol, you get world class pest control services on your budget, combined with an unmatched customer friendly approach. Paul’s Pest Patrol has experience with the toughest of infestations. We are your pest exterminator, cockroach control, bed bugs, and rodent exterminator experts. If you’re a bay area resident with a pest problem, or a business in need of higher scale treatment or prevention, give us a call! 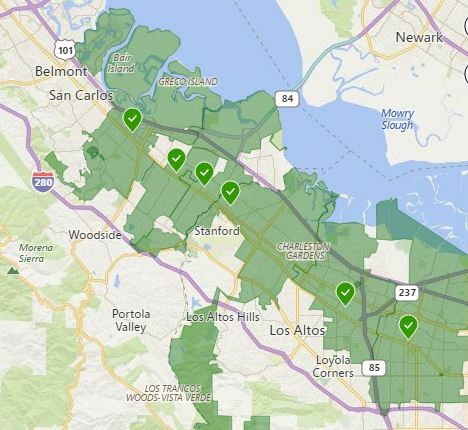 Our coverage area is the entire South Bay Area, and some of the Northern Peninsula. Northern cities are limited to Palo Alto, Menlo Park, Atherton, and Redwood City. In the South Bay, we offer pest control services to all communities. 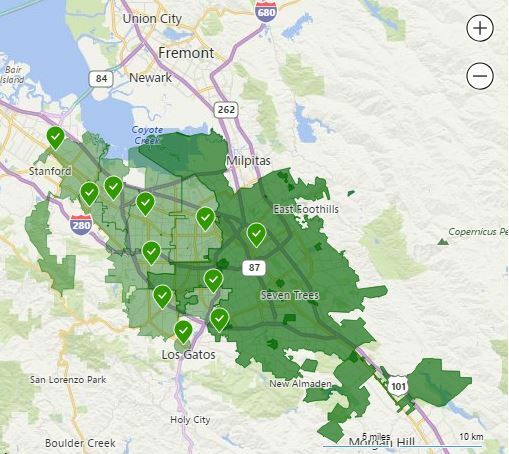 This includes San Jose, Santa Clara, Campbell, Mountain View, Saratoga, Los Gatos, Los Altos, Sunnyvale, Cupertino, and Monte Sereno.